Why buy Autel MS906TS ? 1. 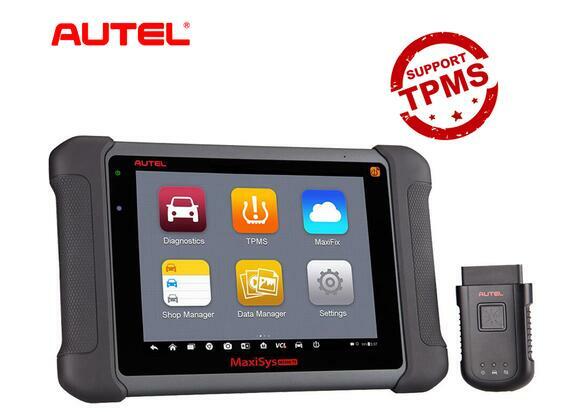 The Autel scanner MS906TS is an all-in-one industry first combining advanced diagnostics with complete TPMS functionality. Now technicians don’t need a second TPMS tool to trigger, relearn, or program Autel MX-Sensors. Quickly test all vehicle systems with one ultra-fast, lightweight, wireless, touch screen tablet with the same vehicle coverage and advanced diagnostics as the MS906. 3. Supported cars: Ford, GM, Chrysler, BMW, Benz, VW, Audi, MINI, Toyota, Honda, Nissan, Mitsubishi, Hyundai, Kia, Peugeot, Citroen, Fiat, Land Rover, Jaguar, Lexus, Renault, EU Ford, Mazda, Opel, Sprinter, Smart, Porsche, Volvo, Aston Martin, Maserati, Ferrari, etc. 4. Functions: ECU coding, Auto VIN, Key programming, Live data, Active test, ECU information, Adaptation, Matching, Oil reset, EPB, DPF, Airbag, ABS, etc. The wireless AUTEL MaxiSYS MS906TS is an industry first combining advanced diagnostics with complete TPMS functionality. 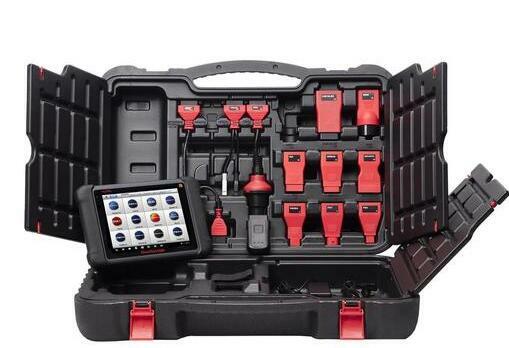 Now technicians don’t need a secondary TPMS device to trigger, program, or relearn Autel mx-sensors and quickly test All vehicle systems with one ultra-fast, lightweight, touch screen tablet. Great product came brand new as discribed. Works on older obd and newer obd2 with can. Easy to navigate. This was the best price I could find. Money well spent. One of the tool trucks had it listed for over a grand more than what I purchased it for. Did a comparison to a high end brand scanner and was very happy I went with the autel. Great communication from seller. This is the best tool for the best price that allows you to troubleshoot any module on modern vehicles. On most vehicles the scanner can auto-identify the year/make/model. The TPMS utility is also a nice feature. I was expecting to be disappointed based on my dealership background (30+years) because I always used high end manufacturer specific scan tools. Other aftermarket diagnostic tools I’ve tried were all a huge letdown, this one is awesome! If anything it is easier to use than Bosch and OTC tools costing far more. One word of caution, consider contacting Autel Scanner you purchase and verify you are buying from an authorized dealer. I have been burned before by “gray market” products that could not be registered for warranty or US based support. Believe it or not some authorized dealers are even less expensive than Amazon, but even if you pay more you know it will be covered if something goes wrong or you need to speak with tech support. Awesome scan tool, if you do not do module installation and require the J box, this is definitely the tool. Although, you can get this tool for cheaper price through a few other companies. obd2tool is one of them.